Okay, so the headline on this story is a bit on the punny side, but, you have to admit with names like the T-Roc and the T-Cross, you can certainly see why puns may be the order of the day for these vehicles. Over the last year or so, there has been some buzz from Volkswagen about a new family of SUVs, based on the T-Roc. The T-Roc is a highly stylized affair that is called lifestyle oriented. The world will get a look at the new T-Roc when it debuts next spring. Called the T-Cross, VW sees its market as young families. The T-Cross will offer a maximum amount of rear legroom and trunk space, all within a relatively small package. VW execs believe the T-Cross’ packaging will take customers from competitors like the Renault Captur and the Peugeot 2008. Executives don’t think they will cannibalize sales from the VW Polo, a small hatchback, or the T-Roc. Andreas Krueger, chief of the VW brand small car product line, said that the automaker expects “the SUV share of the [small] segment will double in the next 10 years.” Sources within the automaker told Automotive News Europe that they believe the new model could add as many as half-a-million units a year when production fully ramps up. “We’re going worldwide with this, starting in Europe, then South America, both Chinese joint ventures and finally India.” Production is set to begin next year in Pamplona, Spain. T-Cross uses the MQB A0 architecture. It will begin arriving in European showrooms next April. There will be three turbocharged engines ranging from 94 to 148 horsepower. There will be a diesel offered initially, though, there will be no all-wheel-drive. Customers can order it with a fully digital cockpit, including an eight-inch touchscreen middle console. It also includes wireless phone charging, and there are four USB ports – two front and rear – which are ultimately part of the infotainment system. It is possible, Kreuger noted, there might be derivatives of the T-Cross which will keep the line fresh over its life cycle. He said there were no plans for a convertible version. Production for South America begins in Brazil in summer 2019. Manufacturing is expected to start in China in about a year. VW and China are working together through joint ventures SAIC and FAW. 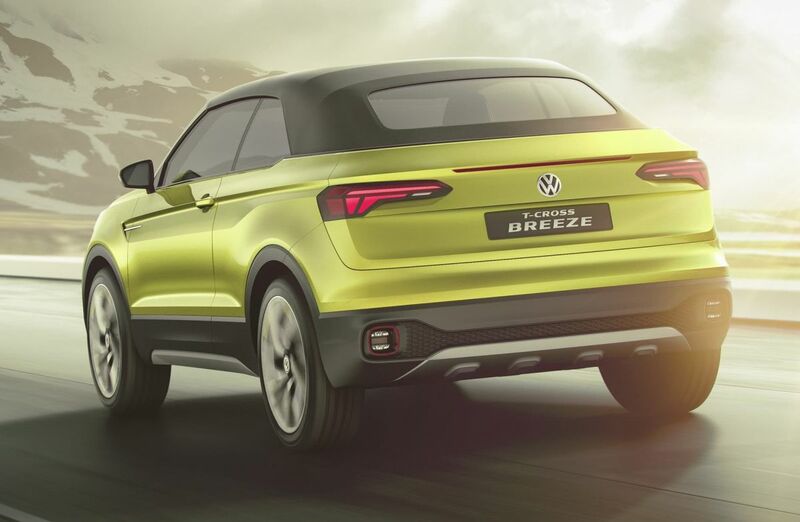 Eventually, VW plans to build the T-Cross in India. To meet market requirements, non-European regions will receive T-Cross with a slightly longer wheelbase. The U.S. and Canadian markets are not scheduled to receive the T-Cross.